You start a blog feeling excited about the idea. Your blog looks polished and ready for people to visit. 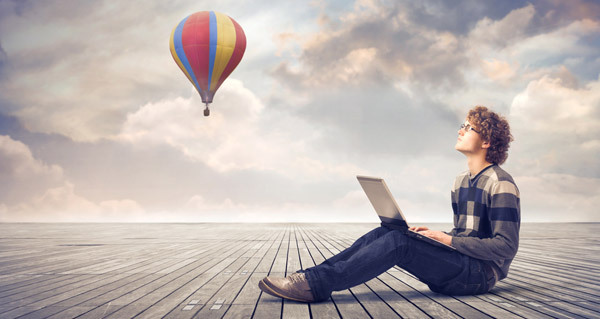 You start the blog off feeling fresh and with plenty of topics to talk about. What started as something that could change your life and move your business forward, ended just because you ran out of “things to say”. There’s no doubt that content topics are virtually endless, regardless of your industry. However, sometimes, a little spark is needed to get your creative juices flowing. They say that content marketing is an essential part of your online marketing strategy, and I couldn’t agree more. In this post, I’m going to give you a list of 30 content starters so that you’ll never run out of ideas for your next content piece. These ideas range from serious to light-hearted, and you’ll definitely find some that would be quite handy next time you experience writer’s block. Everyone is interested to find out what really works and how to do it. You can come up with a post sharing some strategies, tactics, and a step-by-step guide that your readers could follow. Choose a product that you’ve purchased and educate your readers about it. For example, give them tips and guides on how they could get the best results from that product. Also, if ever you’ve purchased that product from an online business, don’t forget to link it to the seller– they’ll certainly appreciate that. Similar to a product review; but try to focus on a specific function or feature of that product. Then, provide a description about it and how your readers could benefit from that feature. Brainstorm a topic that would catch your readers’ attention, then provide a resource list for it. For example, if you’re into social media, you could come up with a list of your favorite social media sites. Everyone of us has his own favorite tools. Rank them up and come up with a step-by-step guide on how to use it. You could also shoot a quick screencast to demonstrate how that specific tool works. Are you in love with a particular product or service? Why not share your thoughts with your readers. You could write this one in a number of ways and it doesn’t necessarily have to be “10.” Just using a list format could allow your creative juices to flow. Furthermore, to generate more traffic, make sure that your top 10 list is very sensational– like this one. Come up with a check list. It could range from movies, books, foods, countries, website, or goals that you must accomplish. Write about a circumstance where you succeeded in spite of how difficult it was and how you found the strength to get past it. Also, you could twist this idea around and write a post on how your failure became your stepping stone to success. Try sharing your personal experience, and how it made an impact in your life. The lessons you learn when you were just starting and what you wish you knew that would have made everything more convenient and easier. This would appear like a tutorial, but on a more personal level. Inform your readers how you usually do a particular task. If you’re up for it, you could even include photographs, or videos while doing that task. You could share your opinions about some issues. Similarly, you could grab your readers’ attention if you’ll focus on hot topics/subjects instead. What questions does your internal team/staff usually face on a day-to-day basis? Interview your team and find out their answers. From time to time, people will get bored from reading, and you’ll eventually get tired of writing. So, why not take a break and share something fun instead? Like an infograph. You could find inforgraphics for about anything, and use them as an inspiration. From marketing to the History of Star Wars. Here’s an example of an infograph I did. On any given day, there are thousands of happenings in your industry. Share some relevant news about it. You don’t even need to be biased, but you have to be factual and informative. In every product launch, there’s no doubt that the consumers would be intrigued and interested about it. You could feature this new product, write a post from your perspective, and your expectations. You could host a contest or a giveaway of a new product and promote it. This would generate more traffic to your site. Besides, who doesn’t love giveaways? This would appear like your own advice column, but more formal. You could invite your subscribers to send you their queries, then choose a question that’s being asked frequently and answer it. Talk about some tools, services, or applications that you’ve invested in and what made them worth every penny. You could either come up with a list, or a review for this. Don’t forget to inform that company you’re recommending. If they like your post, they might share your testimonial, if you’ll give them the permission. This would result in more exposure. If you haven’t made any introductory post yet, this would be ideal. Likewise, it’s never late to re-introduce yourself again. Share who you are, your reasons why you’re here, and what you love most about your blog. Learn more about your readers through creating a survey. For one, you could create a search type survey about your business to determine what your readers usually prefer. Or you could come up with a personal and fun survey instead. Every industry has his own share of legends, myths, and misconceptions. Readers love nothing more than exposing the truth about these common beliefs. Also, by pointing out what’s wrong with your industry, you could inform your audience how reliable you are. Write a post about what works great with a certain product or service. Come up with a list of what works with what you do, then share it with your readers. You could also recommend other service providers and sellers. Through this, you’ll introduce your readers to options that would work with what you offer. This could be quite fun– especially towards the end of the year or season. Take a look on the latest happenings in your market. What are the current trends? What’s hot and what’s not? Then, create a post about it. These types of contents are usually a hit since most people love reading the mistakes made by others. Also, it helps the readers avoid these common mistakes. Engagement is becoming one of the most essential marketing strategies. It is similar to a survey, but more personal and direct. There are a lot of ways on how you could do this. You could create an “Ask the Reader” type of post and start interacting with them through the comments. Write a list of things that you should avoid and the reasons why you must avoid them. 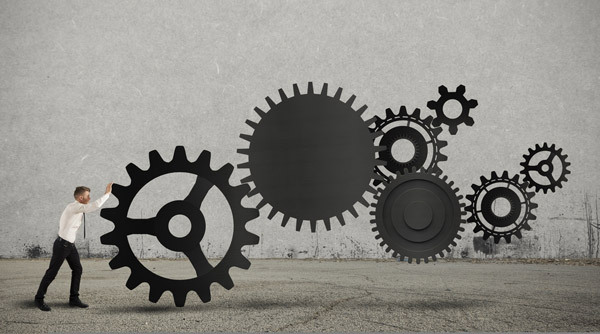 Ask some industry experts who are willing to contribute if you’ll offer them enough lead time. Guest posts could be a huge help, especially during holidays and summer breaks. Likewise, it could also provide helpful, yet creative content for your readers. This one never gets outdated. If you want to establish your presence online, one of the best things you could do is to start creating some epic posts. A ‘pillar’ article is a type of post that exceeds that 1000+ word limitation. However, make sure that you’ll come up with a content that could inspire people, and not something that would bore them. The only thing better than living a fulfilled life is to live vicariously in someone else’s. You could come up with a post where you set a goal for yourself and update your progress daily/weekly/monthly. There you have it. 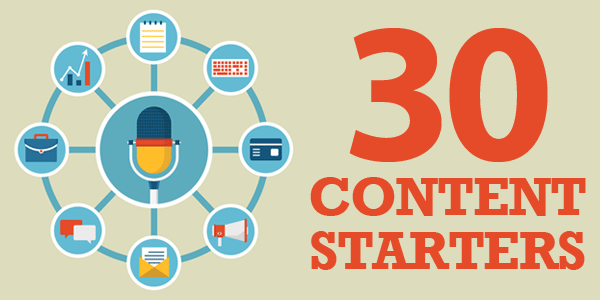 Use these 30 content starters and you’ll never run out of things to post! Whenever I’m stuck with what to post on my blog, I always refer to this list. Liked this post? Feel free to share it with your friends. What ways have you found to work when it comes to creating content? List is really awesome and several ideas are quite new to me. It is right sometimes a writer has many ideas to write and sometimes feel like a dumb with big writer block ahead. At that time this post will work as a big booster and bring a number of ideas to pick the best one. That is why I book marked it for future reference. Glad it helped you. Good idea to bookmark it 😉 Feel free to download the PDF version, too. very helpful list, gives me a lots of ideas for content and product development. Yes, even for product development purposes likes eBooks and reports. Thanks for sharing these 30 strategies, I can see how this list is going to be very helpful. One of my blogs has been on the back burner for quite some time. Your list has given me a couple of ideas for that particular blog. Thanks for the help – Awesome Aurelius! Thanks for the tips, you are always providing great ideas with these tips they will come in handy. That’s why I enjoy reading your articles. So Aurelius have a great day!!! Great! You will see more great posts like this. This is very helpful as I am stuck of what to write for my website. All I see is error buttons. How do I download the pdf?